Woodinville, Wash.—Sparkman Cellars and DeLille Cellars made what one described as a “game changing” move to set up shop in a vacant brewery once operated by Redhook. Sparkman and DeLille also joined forces with Seattle’s iconic Teatro Zinzanni circus-acrobatic dinner theatre, and an as-yet-unnamed restaurant entity in transforming the former brewery into a state-of-the-art wine and food venue. Not only does the eclectic expanse share the same street as Chateau Ste. Michelle Winery, but also sidles alongside the Sammamish River Trail, Tolt Pipeline Equestrian Trail, and the Burke Gilman bike trail, Seattle’s most-used bike trail. “Guests will be able to get to us by kayak, by horseback trail, by bike - the sky’s the limit,” Sparkman said. Redhook opened the brewery in 1995, and the facility had been the state’s largest until it closed last year. Owner Craft Brew Alliance, which formed through the merger of Redhook and Widmer Brothers in 2008, sold the building to a real estate management group in a deal reported to be worth nearly $25 million. According to Woodinville Wine Country, the suburban wine region hosts more than 1 million travelers annually and the area is home to 118 wineries and tasting rooms. Visitors pulling into the 22-acre campus will first spy Teatro Zinzanni’s trademark Belgian spiegeltent, positioned center-ground in the meadow at the entrance. “This opportunity allows Teatro Zinzanni to consolidate all our operations under one roof for the first time in the company’s 20-year history, helping us to open up a whole new chapter for the company,” said director of sales and marketing Michelle Haines. DeLille Cellars will feature 9,000 square feet of retail and event space, 5,000 square feet of office space and 16,000 square feet of winemaking space in the southwest quadrant, plus a three-story retail tower with multi-level lounge offering panoramic rooftop deck views of Woodinville and Mount Rainier for wine club members. The winery also plans to offer elevated tasting and tour experiences that will include food and wine pairings, blending seminars and library wine retrospectives. DeLille Cellars was founded in 1992 by Charles and Greg Lill, Jay Soloff, and winemaker Chris Upchurch. Annual case production runs 28,500. Until build-out, the winemaking location on Woodinville Drive and its Carriage House tasting room in the Hollywood District will remain open. In addition, the winery will continue to operate Maison DeLille, its wine bar in downtown Kirkland, and DeLille Cellars Chateau in Woodinville for wedding and private events. The new winery and production area is slated to open in late winter 2019. Sparkman’s new location is in the former Redhook bottling line section, comprising 30,000-square-feet at the east end of the premises. Sparkman, the son of an architect, knows his way around a blueprint. The new winery leans towards rustic with an urban vibe, and will include vaulted ceilings, wrap-around patio with indoor and outdoor fireplaces and space for production and special events. He said the hope is to open the first phase in December 2018, in time for the holidays. Sparkman Cellars, a family-focused winery founded in 2004 by Chris and Kelly Sparkman, today produces 12,000 cases annually. The move marks the first time since 2007 that Sparkman production, tasting and event venues will all share one roof. 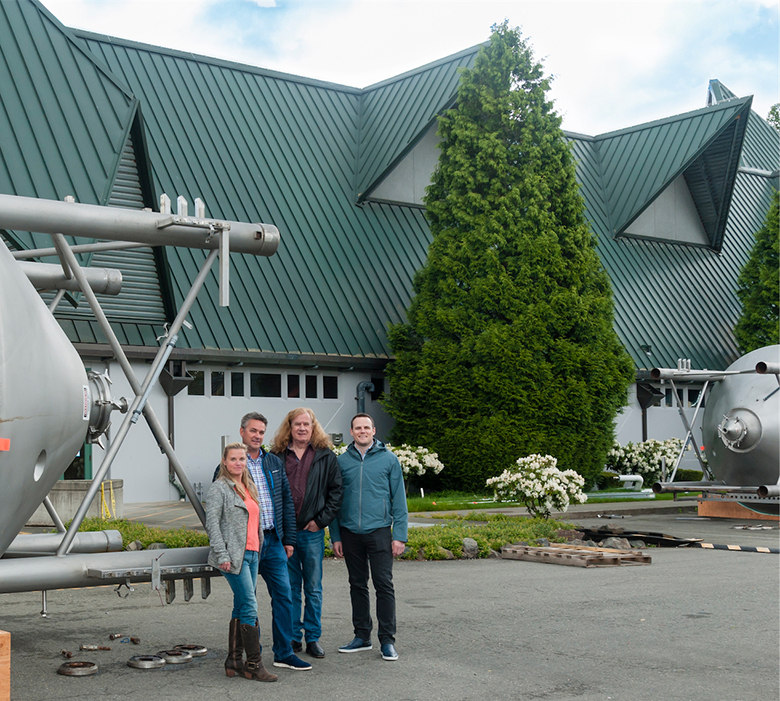 Previously, the winery entertained three separate leases, including a tasting room and winemaking facility in the Woodinville Winery Warehouse District, and a tasting room in the Hollywood District. Both will remain operational until completion of the consolidated tract. “The move will increase efficiency, productivity, and allow us to stretch into other areas of opportunity,” Sparkman said.